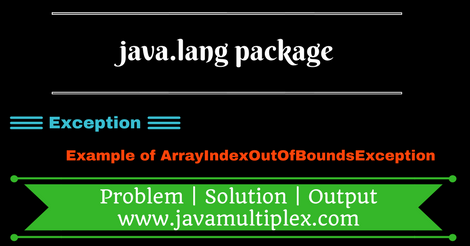 ArrayIndexOutOfBoundsException is a class present in java.lang. * package and has following class hierarchy. Thrown to indicate that an array has been accessed with an illegal index. The index is either negative or greater than or equal to the size of the array. * element at index 5 that not exists.